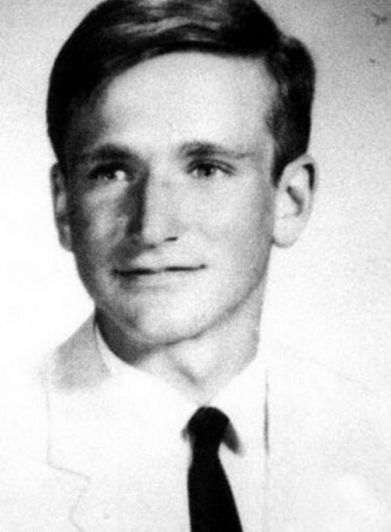 It's safe to say that many of us grew up on Robin Williams movies. What I loved most about those movies was that he was able get those belly laughs – he was so quick and had the best execution — but would touch your heart at the same time. How many times did I watch Mrs. Doubtfire with my brother and my best friend? Countless. In fact, I remember watching it for the very first time. It's stuff like that you don't forget, you know? When an actor or a movie impacts you so much, it stays part of you forever. 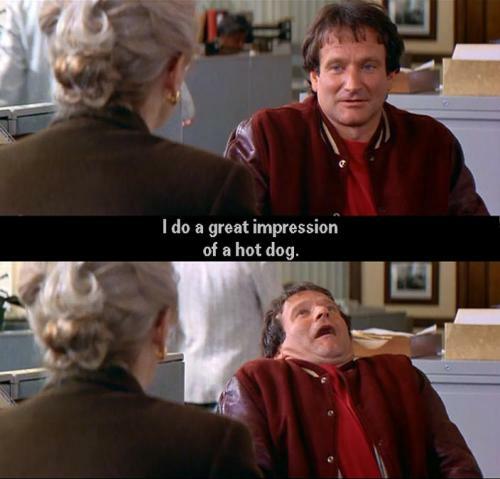 Mrs. Doubtfire, while it's seemingly a lighthearted comedy about a man cross-dressing as a Nanny, also broke my heart. The scene where Robin doesn't get to have his kids, when the kids realize it's him... all of those moments made you feel something, because that's how good he was. He was able to impersonate a hot dog and then hit you right in the gut, too. I know he won't be remembered for Jack, but I remember crying hysterically during that movie. I was nine, I think. I hated watching how mean they were to Jack. "He was just a kid!" And even though I knew it was a movie, the emotions that movie made me feel lingered long after the screen went black. I couldn't help but to feel somber today at work. I know it sounds nuts, but it shouldn't — I felt like crying. (I sit here in tears as I write this.) Many may scoff, but I don't think it's odd or bizarre to feel this type of attachment to people. In fact, the world would be a better place if we did! My emotions are all over the place. Molsty, poor Robin. A man with a great, special gift, who thrived off making others laugh, was dealing with his own personal demons. I think it's a blessing that God gave him tha talent. The ability to make someone else laugh is not a dime a dozen. And I think it was a coping mechanism, too. I hate that he felt that way on the inside. I hate that his family and friends have to go through this. I'm sure they wondered how they could have helped or stopped him. And all you can do for people who suffer from mental illness, especially depression, is just be there for them. Offer them love. Treat them like a human being. It's not your fault. It makes me think about the people I know who deal with depression, and bipolar disorder, and other mental illnesses. I would absolutely lose my mind if any of them took their life. It's important to seek help if you feel suicidal — and I know that plenty of times, if you're depressed, it may not show outwardly — but it's also important for us, as the friends and family, to dig deeper, and to read the signs; to take note and do all we can to help. Don't be idle. Take action. That being said, pleae know I'm not referring to Robin's case when I say those things. They did all they could. I felt this way when Michael Jackson died. When Whitney Houston died. I will feel this way when George Strait dies, when Bette Midler, Goldie Hawn, Julia Roberts, Tom Hanks, Oprah, Tim Allen, Steve Martin... Justin Timberlake... when these people pass, I will mourn. I will feel the loss in my heart, because they impacted me so profoundly as a child. These will be the people I tell my children about. This isn't the major emotion I have, but it's like a piece of my childhood died. And thus I'm getting older. I remember when I was little, I'd think about the days I would get to work with Robin Williams, or get to interview Michael Jackson. It's sad that I won't get to have those moments. Maybe that's selfish. And to top it all off, I live in LA. Business as usual, right? A premiere is happening right up the street. And I can't help but to think, "shouldn't have all that been cancelled?" It's that stunning. Maybe it's droll of me to believe this town should have shut down, but he was probably one of the top three most influential comedians of our time.